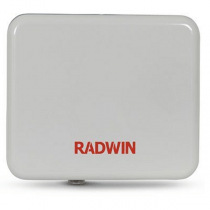 RW-2954-A150 is a carrier-class radio that belongs to the RADWIN 2000 A 50M Series and supports 4.9 to 5.9 GHz frequency range. RW-2954-A150 delivers up to 50 Mbps throughput and up to 8xE1s/T1s over an extended range. The radio comes with an integrated antenna. 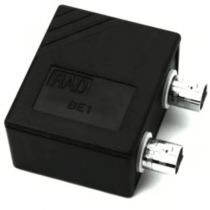 Indoor DC POE device for RADWIN radios, with GBE interface, supports input power range 10-60VDC. 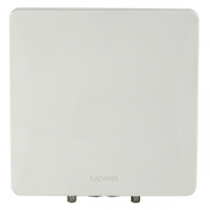 Indoor AC POE device for RADWIN radios, with GBE interface, supports input power range 100-240VAC nominal range. 90-264VAC max range. frequency bands at 5.x GHz, factory default 5.4 GHz Universal. 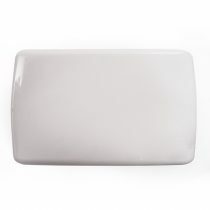 RW-9622-5001 is a high performance Dual Polarization-Directional antenna, 5 deg. beam-width, supports 4.9 – 6.425 GHz frequency range.